Books in Colours is an original blog feature on The Devil Orders Takeout, featuring a series of books radiating a certain aura that corresponds to a colour. Bonus Alyssa-tries-to-be-poetic. books that bleed — rose and scarlet and wine and damask and sunset. These are the pages steeped in passion, inked in fury. For the readers whose hearts do not falter, but cry out for the heights of the tender blue. This is my absolute favourite Agatha Christie book of all time, and I don't say that lightly. Throughout the novel, there is a chilling reprise of the nursery rhyme "Ten Little Indians", and the hints and red herrings are beautifully set up. The twist will leave your mind shaken for days afterwards. A horror/mystery in true form. Much blood is spilled, but the true red lies in the sun setting on our little Indians. You know they won't make it out. 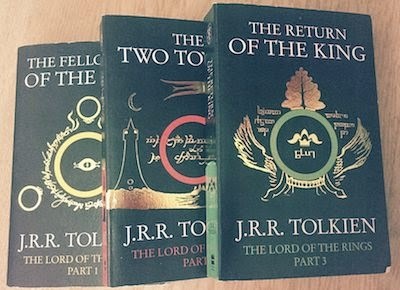 I remember the LOTR trilogy as red because of the manly compassion in these books. There is, of course, the blood of war, but more than that there is the heart in the trilogy. Even as you fall in love with our fiery heroes, the world around them blossoms into a vibrant scarlet that will never leave you as you journey into the playful Hobbit and the grandiose Silmarillion and all the others. And there's always Legolas' helpful exposition. 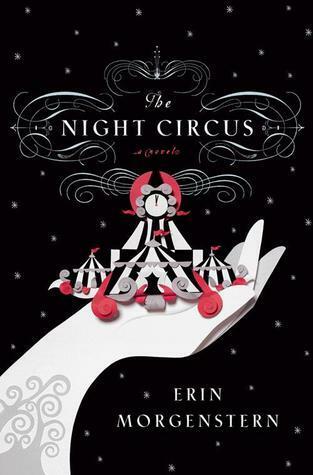 The theme colours of The Night Circus are definitely black, white, and red, but a true rêveur dresses almost entirely in black and white, with only a splash of red. All the same, it is the red which enraptured me and made this book all the more memorable. The circus itself is black-and-white, a beautiful work of art; and yet it is the magician, the secretary, the clockmaker, the contortionist, all with their brilliant lives in and out of the circus, who truly live on in my heart. What books do you see as having a 'red' aura? Leave a comment and I'll feature your picks! If you love books, receive monthly letters from me with bonus readerly takeout right in your inbox! Ooh... I love Agatha Christie. And Then There Were None was my original introduction to her writing. As for my red books, I'd probably have to go with Uprising by Margaret Peterson Haddix. There is so much heart and dreams and... well I spose you'll have to read the book to find out about the other red things. And Then There Were None is truly fabulous. I mostly read Poirot, but that one really snagged my attention and my eternal love. I've heard so many good things about Then There Were None! Oh, that's sad -- have you tried online ordering? I order all my books through Book Depository. Hobbit I see as somewhat less bloody, but LOTR is much less of a children's book. I've read a little Dan Brown but I wasn't so interested then ... although my tastes have evolved, so I'll check them out again at some point! Oh, this was really interesting. The Night Circus definitely has a noticeable 'red' aura in it. The Red Queen is also another example, although that one's pretty obvious since the color of blood is a prominent feature in it. The Night Circus was definitely more red than black or white. Which is ironic. xD I've yet to read Part 3 in TLotR, but it's so vibrant so far! The world-building is fantastic. I'm just moving at snail pace at the moment because I've reached the Treebeard/Pippin/Merry part of Book 2, which is kind of boring. And Then There Were None is definitely a red book... Ten Little Indians gets even creepier when you listen to the song from "Bloody Bloody Andrew Jackson." Lord of the Rings makes me think of green more than red, but maybe that's because of the Shire and the Elves and the cloaks they wear and the fact that Sauron dies in the end. I like sorting books by ideas of color, though! I look forward to more of this soon! Everyone says And Then There Were None was great. I couldn't get into LOTR tbh. I haven't read any of these books. But "Books in Color" is such a cool idea- we will get to see more? 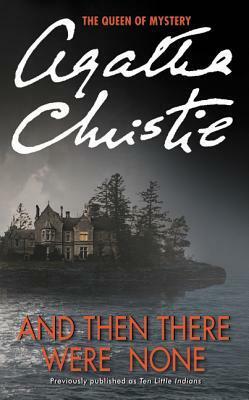 You should read And Then There Were None, it can get a little dull at the beginning but the ending is fabulous. Yeah, LOTR isn't for everyone, I couldn't get into it until a few years ago. I don't really get color vibes when I read books, but I'd have to say that All the Rage by Courtney Summers made me see red. The book was very hearty, and I was raging throughout the whole thing! Oh, dear. Oh, dear. I do understand the book's not for everyone, despite being amazing, but the LOTR movies are worth checking out too. *pokes head in* DID YOU SAY FURY?! I AM HERE. hehe. Okay, I'll behave. I PROMISE. Omg, so I do NOT ever see colours! I don't! My sister does though. She's always telling me what sounds and tastes have colours and I just look at her like a blank watermelon. I just...nope. The only colours I'll see is what's on the cover. >.> I think the creativity is awesome though! Oops, accidentally cast a summoning spell and didn't notice. Hopefully it's not a completely evil summoning spell. I'm not so specific with the more mundane things, although I know a couple people who do this. But books just give me this vibe, you know? I've always seen the Lord of the Rings as green and And Then They Were None as blue--not that I don't think they could be red, too! Harry Potter is a whole mix of colors, though mostly red and green, at least to me. The King of Attolia has a lot of red in it, though the main color is probably gold. Ooh, that's the second vote for LOTR as green! Hmm, And Then There Were None does have some blue in its foundation since it's on an island and all. I've heard a lot about the King of Attolia -- might pick that up soon.